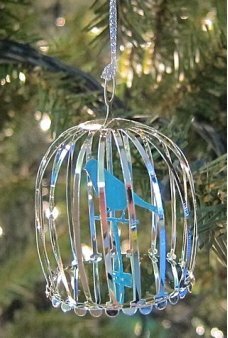 A blue bird sits in our beautiful silver bird cage ornament! 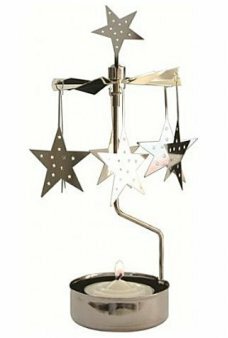 Thin silver bands bend to make a classic domed top bird cag..
Beautiful and delicate silver metal snowflakes spin powered by the heat of a candle! 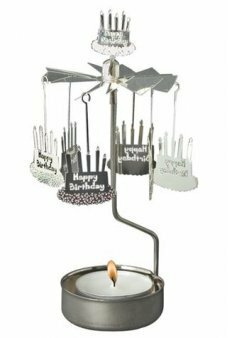 Just light the candle at the base o..
Beautiful and delicate silver metal Angels with Trumpets spin powered by the heat of a candle! Just light the candle at ..
Santas rotate in a circle powered by the heat of a candle! Just light the candle at the base of the Anglaspel carousel t..